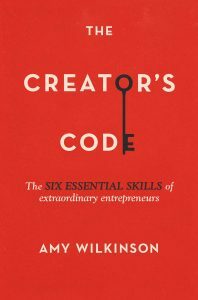 Amy Wilkinson pulls off an extraordinary feat with The Creator’s Code: she interviewed 200 top entrepreneurs to discover what had made them successful, then rigorously distilled down her findings into 6 universal skills – the Code. The research, on ‘the biggest data set currently in the entrepreneurship world on high-scale or high-impact entrepreneurs’, took 5 years. The 300 pages of the book were distilled down from 10,000 pages of transcripts. As you’d expect from someone who lectures at Stanford and Harvard, the research was rigorous and the grounded-theory approach behind it is cutting edge. But as you might NOT expect, the output is not an impenetrable scholarly paper, but an engaging, readable narrative. If you’re struggling with translating a large body of material into an accessible story, or if you simply want to find out what’s behind the success of 200 top entrepreneurs, all of whom have taken companies from zero to $100m in annual revenue in under a decade, this is an unmissable episode. *And writing the book took much longer than she expected, which made me feel a whole lot better. Alison Jones: Hello, and welcome to the Extraordinary Business Book Club, and I’m here today with Amy Wilkinson, who’s an entrepreneur, author of The Creator’s Code, which is the book we’re going to be focusing on today, a lecturer at Stanford Graduate School of Business. She’s worked with McKinsey, with J.P. Morgan. She’s worked in the White House and at Harvard University. She’s recently spoken at the World Economic Forum in Davos, and so, quite honestly, the Extraordinary Business Book Club was just the next logical step, wasn’t it, Amy? Amy Wilkinson: Oh, yes, indeed, it was! Alison Jones: It’s really good to have you here today. Welcome to the show. Amy Wilkinson: Thank you. I’m pleased to be with you. Alison Jones: Now, The Creator’s Code is extraordinary, isn’t it? 200 interviews with luminaries from all aspects of business, distills their wisdom down into six digestible principles. It’s quite astonishing. Amy Wilkinson: Well, it was a pretty big task to take on. I did interview the 200 top entrepreneurs in the United States that had scaled companies from zero to $100 million in annual revenue, and I wanted five years of history to see that they were not just a flash in the pan kind of idea, but not more than ten years to go to that scale. The Creator’s Code is based on the biggest data set currently in the entrepreneurship world on high-scale or high-impact entrepreneurs. Alison Jones: What I found fascinating was your research-methodology bit at the back there, because you don’t get that in many business books. It really shows your academic pedigree. I think the stories in themselves would have been a book, wouldn’t they? You could have plucked out some really inspirational stories, and hints, and tips, but the rigor that makes this book really interesting is the way that you have distilled them down into those principles with that really solid research-methodology bit behind it. Amy Wilkinson: Yes. I think that’s very much what sets this book apart. There’s five years of research behind it, and 10,000 pages of transcripts behind a 300-page book, so it’s a massive distillation exercise in pattern recognition. It’s called grounded-theory approach. I’m trained as a sociologist. I also have a MBA. This is the exercise of interviewing all of these people and then really distilling, categorizing the information, coding the information, seeing the patterns emerge off of all of that data, so that the six essential skills, as they’re called, of extraordinary entrepreneurs, they are actually very grounded in research. I do think that that makes it pretty different from the one man’s story, which you get a lot in the business-book world, of one person’s success at a company, or the top three things you should do, the top five things that you should do, that are based on nothing in a lot of cases. This is really a very substantial data set that I put together for five years while at Harvard and now I’m teaching in Stanford Graduate School of Business. Alison Jones: Did you have a crisis of identity when you came to it? Did you think, “I’m creating a trade book,” or did you see it, approach it, as you would a normal piece of scholarly research? Because it’s actually the sort of methodology that would go into a substantial journal paper or a monograph, but it’s not. It’s a very readable trade book. Amy Wilkinson: I think that that was very intentional, in fact. It’s very difficult to do, but I do think that people need to have ideas that are based on research. However, most of the academic studies, and I read an unbelievable amount of academic research as well. Not only did I do primary research, but I looked at backing up many of the concepts with secondary, with academic papers, and, truly, people are not accessing or reading that material unless it’s easily read. I think if you want to have ideas that are sound ideas, you have to do the research. If you want people to catch them, grab them, pick them up and actually incorporate them into their lives, they have to be journalistic in style, narrative in style. This book is available in the airports, for example. It’s a very narrative-based book instead of being an academic-based book. It’s really got the best of both worlds. It was very difficult to do, however. Amy Wilkinson: Yeah. Journalists typically write one moment in time, or are very descriptive, fun, and lively prose, and academics tend to do a lot of research, and then the prose are somewhat difficult to write or read, so, yeah, it’s right at that nexus. Alison Jones: Actually, maybe management theory is the one place where you do get people writing in a clearer style for practitioners as well as academics, but I know, typically, many academics find it very, very hard to write in a style that’s accessible to the bloke on the street. Amy Wilkinson: Yes. I think that that’s the magic of someone like Malcolm Gladwell. He does not do original research. He cherry-picks academic studies and then really popularizes them, and he does it in brilliant writing in a wonderful way. There are different skill sets on both sides of this equation, and you don’t often see a book that’s right at the center of it. It’s just two different skill sets, really. Alison Jones: Yeah, absolutely. Before we go any further, we should probably let people know, if they haven’t read the book, what the six principles are. I don’t think we’re giving anything away here, because the value is all in the writing of the book, but do you want to just quickly go through the principles and say what you discovered? Amy Wilkinson: Of course. The six skills, the first skill is “find the gap,” and that’s about how do you spot an opportunity that others don’t see? How do you find a gap in the marketplace? My research has revealed that there are three ways to do that. The big thing to start with is curiosity. You have to ask questions, and then there are just three different patterns by which people can go out and spot gaps. We can talk further if you want to, in-depth, on any one of these, but for the high-level preview, that’s skill one. Alison Jones: I love this one. Amy Wilkinson: It stands for observe, orient, decide, act. It’s a fast decision loop, basically. Alison Jones: What I loved about this was it’s lean before lean was a thing, isn’t it? Amy Wilkinson: Yes, it is. This concept originated out of the US Air Force. We’ve trained fighter pilots to observe, orient, decide, and act faster than competitors, and the reason is that you can get inside the loop of someone else, you can learn faster, and you can outmanoeuvre. This has, as a framework, been around for decades. It is talked about as a single concept, especially out in Silicon Valley here where I live, as iteration. It’s fast iteration. It’s fast decision-making, or lean startup strategy. That’s skill three. Skill four is called “fail wisely”. Fail wisely is about more than failing fast and failing forward. That’s something we hear all the time in the entrepreneurship world as well, but the wise part of failure is that you actually want to set a ratio at the outset. You want to say, “I’m going to get it wrong a certain percentage of the time,” so your failure ratio, and then you learn through it. That might be 10% of the time. It might be 30% of the time. It might be half of the time. Depending on the business you’re in, and the risk tolerance, and the capital layout that you have, you want to have a ratio. It can’t be zero. You don’t want a zero ratio. That would be perfection and, in fact, that’s impossible. In a world that’s so technology accelerated and globally linked, we don’t actually know where the ideas are coming from, so you will fail a certain percentage of the time. That’s about failing wisely. Then skill five is called “network minds,” and this is about networking the brainpower of other people, so it’s harnessing cognitive diversity and bringing great minds to help you solve problems in ways that haven’t been solved before. There’s online and offline tools and various techniques that you can use to harness cognitive diversity. Then the last skill, the number six skill, is called “gift small goods”. A small good is a small kindness. It’s something of value for someone else. The idea of gifting it is that generosity, if you’re helping colleagues and you’re collaborating, it actually, today, in the modern world, makes you more productive. It used to be morally right to do this. Now, in fact, it’s very transparent. Our reputations are very transparent, so people will know that you’re a helpful colleague, and then they want to work with you. Information comes to you. Talent comes to you. Deal flow comes to you. All these things you attract by the nature of being collaborative. Those are the six skills. Alison Jones: I particularly love that last one. It’s almost like reciprocity at work as well, isn’t it? I do love that. Amy Wilkinson: Let me clarify that. It’s actually bigger than reciprocity. Reciprocity would be the traditional way of gifting small goods, like I help you, you help me. It’s this great reciprocal relationship. This is bigger and it’s indirect, because I help you and other people see, because of Twitter, because of LinkedIn, because of Facebook, because you can Google my name, because you can find information and people that have worked with me, so it’s not just a reciprocity between people that you know, and people that you have worked with or collaborated with, this is very much a transparent reputation, so that the rest of the world that you’ve never worked with before knows of your reputation and then comes to you. Alison Jones: Yes, I see, so it’s the reputational capital point as well. Alison Jones: I’m sure there’s also a mystical point in there as well about reciprocity from the universe. Did any of the principles that you uncovered surprise you in any way? Amy Wilkinson: I would say if one of them was surprising, the most counter-intuitive is the last one, the gifting of small goods that we just discussed, because people have thought in traditional business that … We have a saying in the US: “Nice guys finish last.” If you’re collaborative, and if you’re nice, and you’re helping people, that maybe you’re not helping yourself as much, that you’re wasting time, in some cases, by using so much time in helping others meet objectives. The counter-intuitive truth today is that by doing that, by helping other people, you really are becoming more efficient yourself, because we choose who we work with, and other people then want to work with you, and they come to you, and they want to give you information, they want to, also, build up your ideas. That, of the six, is probably the most counter-intuitive, but there are surprises in each one of these, about how to do it, about what it means, about how every single person can spot a gap, how every single person can drive for daylight. It’s not that high-scale entrepreneurs are a totally different class of people. We all have this ability, and it’s really unlocking the ability inside ourselves. Alison Jones: When you were talking to the people from whom you distilled these principles, how aware were they themselves of what they had been doing? Did they articulate this to you immediately or did you have to extrapolate it? 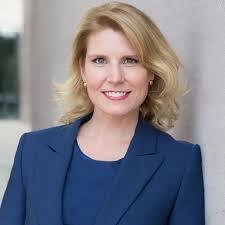 Amy Wilkinson: Well, they’re very aware of what they’re doing with their own businesses. They are all very curious about the six skills. It’s been a fun thing to watch, because, going across 200 entrepreneurs, I can go back to each one and say, “Hey, this is the common pattern.” People that are building companies, as you know, it takes a lot of time, and energy, and focus, and so they are not out, necessarily, comparing and contrasting their skills with other people that have built successful companies, so they’re very aware of what they’re doing, but they’re also quite interested in the outcome of this data set to know that they are similar, in many cases, to other successful entrepreneurs. Amy Wilkinson: Yes. I think it’s part of the Steve Jobs phenomenon of making complexity simple. He used to always talk about, the Apple founder, that really complex things, the most difficult thing is to make them intuitive. The iPhone is a pretty intuitive thing to pick up. Children can access their iPhones, their parents’ iPhones, very easily, and do various games, and video, and be on calls, and everything else, because it’s so intuitive. Alison Jones: Yeah, tell me about it. Amy Wilkinson: Right, it’s so intuitive, but to design a book, in this case, to design a product, to have a company in the marketplace that can scale quickly and see something that looks so simple, in this case, these six skills seem pretty intuitive. It’s very hard to get back to the intuitive level that everyone recognizes off of a complex data set. Alison Jones: Tell us a little bit about that process, because I think that’s what fascinates me. Obviously, I’ve heard the research methodology behind it, but just talk us through the mechanics of aggregating all that and then distilling the simplicity out of the complexity. How do you go about that? Amy Wilkinson: Well, so, many sociologists do this grounded-theory approach. In many cases, it’s the basis of dissertations for original research in getting a PhD, or a form of research in trying to determine people, right, groups of people and what they do, so what you do is you have to do the interviews. You have to have transcriptions of the interviews. Then you code the interviews for keywords, so you start observing and coding where are the words that are repeated, and then you group those into concepts. Where are the concepts repeated? In my data set, for example, there are founders that are pretty wide-ranging, from many of the technology companies in Silicon Valley, like LinkedIn and Airbnb, Paypal, the Google founders, etc, many of these fast-growth business that are technology-accelerated, but my data set also has companies like JetBlue, the airline, Chobani, the Greek yogurt company, Under Armour, the sports retail company, Spanx, the women’s-undergarment company. When you look across at these broad types of companies, what you have to do is listen to the founders and what the concepts are, how do they talk about failure, how do they spot an original opportunity, how do they get other people to help them. This is the networking mind’s concept. How do they maintain this long-term vision, long-term mission. This is the drive for daylight concept. It’s just this massive distillation of interview transcripts, basically, and language. Then it’s also reality-checked against original research in different disciplines, so behavioural economics, organizational behaviour, evolutionary biology, actually. The small-goods research is very much in correlation with some of the evolutionary-biology research, and that chapter cites Martin Nowak, for example, who runs that Center of Evolutionary Biology at Harvard. What they’re seeing, actually, in the evolution of organisms is that in order to survive in a much more complex landscape, you must collaborate. That’s another … For example, with the find the gap, there’s great research at the University of Chicago around curiosity. You have to be curious in order to find a gap, and the curiosity research, one component there is that you need to know a little bit about something. You can’t be a complete blank slate. You have to have a little bit of knowledge in order to be curious, and then you scratch the itch of curiosity in order to learn, and discover, and find more and more about a gap. If you believe you’re an expert, and you know everything about an area, you’re not curious. The curiosity research, for example, also lines up with research that I did around finding a gap. You have to know something, and then you have to keep asking questions, looking for problems, friction points, bottlenecks, things that don’t make sense, the glitch, or the tacit awareness, out of the corner of your eye, that there’s something there, but you have to keep probing to try to figure out what that gap really looks like. That’s the process. Alison Jones: That’s fantastic. I love that thing about a little knowledge, we’re used to saying a little knowledge is a dangerous thing, but, actually, a little knowledge can be an incredibly useful and opportunistic thing, can’t it? Amy Wilkinson: Oh, a little bit of knowledge is what can get you going to figuring out where there is a gap or where there’s an opportunity. In the financial marketplace, there’s something called arbitrage. There’s a moment where you can arbitrage and there’s a glitch in the marketplace. This is true of our everyday lives, and it’s true of the entrepreneurship marketplace, and that is there are little glitches, there’s little gaps. If you have a little bit of knowledge and you see something, the point is to jump on it immediately, and ask a bunch of questions, and figure out what that gap looks like, and how deep that gap is, and if that’s a real opportunity or not. Alison Jones: I love that, because it actually takes … The expert status almost becomes a disadvantage, because you stop asking questions, don’t you? You know the way things are, you assume that that is the way they will always be, and you stop being curious. Amy Wilkinson: Yes. I think that that’s the hindrance of many people who believe that they’re experts, whether these are experts in the academic fields who really think that they’re the paramount first person in the world on a certain very narrow topic, or whether you believe you’re an expert in the business marketplace and you’ve had a career for 20 years or 40 years, and you really think that you know what the marketplace looks like. Often, when you’re in that position today, in today’s world, you get disrupted. A lot of people are talking about disruption in a marketplace. That’s because you’re not asking questions. It’s because the curiosity, for some reason, has gone away, and you believe that you know, because you’re an expert, but the world is changing so rapidly that truly none of us knows. The time clock is accelerating so quickly that you have to continue to be curious. Alison Jones: Stay humble, stay curious. I love that. Obviously, you’ve done a huge service to entrepreneurship in general and everybody who reads this book by pulling these themes out and presenting them so clearly. What did you learn about yourself in the process, because it was a massive undertaking, wasn’t it? Amy Wilkinson: Yeah. I’m a first-time writer, so I didn’t know how difficult it would be to get a book into the marketplace. It really is a difficult undertaking, especially if you’re going to do a research-based book like this. Many books are out with one story: “This is the story of how we built Twitter,” “This is the story of how we built … ” Whatever the company is. Jack Welch’s Winning book: “This is how I built and win at GE,” or something like that. To go out and interview 200 people, and then distil this massive data set, was a big undertaking. I know that I’m a strong-willed person, but the years, there’s five years of time. I thought this would take eighteen months, so, really, that’s one of the things that I discovered about myself, is I will continue to pursue something. I am very curious. I will continue to move something forward. This is very much a parallel with entrepreneurs. I did, at one point, start and grow a company. It was very early in my career, but I identify very much with the entrepreneurs that I wrote about, because they talk about the seven-year overnight success story in many cases. That’s Airbnb. People think that Airbnb, which now has a thirty-billion US dollar evaluation, that that company just one day popped up. When you spend time with the founders, they will say, “No!” They had years and years of trying to build it, trying to get it financed, trying to have anyone pay any attention, leveraging all of their credit cards, really waking up and worrying that it wasn’t going to work, going to conferences and having no one use the product. Over and over, all of these things take time. I think the story of the amount of commitment that it takes is also an important one, because there are no real quick successes, really. You have to do the work on writing a book, especially of this research nature of a book, and when you’re building a company that will fundamentally change the way we live, in one way or another, it’s also a big endeavour. It takes many people, and it takes quite a lot of time, so that’s one of the insights. I think when we read stories about entrepreneurs and authors, same thing, we think, “Oh! They just sat down, and their pens started flowing, and it was just a beautiful endeavour,” or, “They just came up with this great idea, and the next day, someone wanted to fund it, and the next day, it was a global success.” In fact, it’s not that way. It takes a lot of hard work. Alison Jones: I think, actually, culture, generally, does us a huge disservice by presenting these overnight success stories, as you say, and, also, there’s that sense that you sit there and compare your scrappy book that you’re in the saggy middle of with the polished things on your bookshelf, forgetting about all the work that goes in in-between, just as you sit and compare your company that’s struggling with the Airbnbs out there. There’s a real corollary there, isn’t there? Amy Wilkinson: Yes, I think there really is. It’s difficult to be a first timer in any field, really. You talk to people that are first timers in writing books, in starting companies, first-time professors, first-time doctors that are just getting started, first-time lawyers. Everyone is learning and growing, and it takes a lot of energy, and effort, and focus, and it takes some time. The thing about the modern economy is that we are all beginners all the time, and that’s what people don’t realize. I think even when I graduated from college, or business school, people thought, “Oh, now I’ve graduated! Now I’m going to be a success,” and, in fact, what you find out is you’re just beginning. You’re just starting, then, and in any one of these endeavours, with the technology shifting as quickly as it is, with the global landscape changing as rapidly as it does, with our own lifestyles changing pretty rapidly, all of us are beginners all of the time. It’s a little bit back to the curiosity point. You have to stay curious, you have to be willing to learn, and that will take energy and it will take time. It’s the Achilles heel to believe that you know everything, and you are an expert, and somehow you have your career wrapped up with a bow on top. It’s not like that. The people that are the most successful in the world right now, in the world of business, they’re constantly uncomfortable, and they’re willing to be uncomfortable so that they stay on the innovation edge and they stay creating as they move forward. Alison Jones: That’s brilliant. I don’t know whether that’s more reassuring or not, but it’s very, very wise and profound. Thank you. One more question: what will be the best piece of advice, the single best piece of advice, that you’d want to give to a first-time business-book author? Amy Wilkinson: I guess the first-time advice to a book author would be to know that, although you’re the author, you really don’t write a book alone either, that, especially in my case, with a research book, you have to reach out to others to gather ideas. Then you have to reach out to others to test ideas. In some cases, that can be verbal like we’re doing. We can go back and forth and talk about ideas. It’s also testing by putting something on a page and saying, “Okay! Here’s one page. Here’s five pages. Here’s ten pages,” and getting other people to read that. Then, certainly, good writers have good editors, so you have to have a wonderful editor, or multiple editors, who will give you feedback and tell you how to make a book better, and then you have to be willing to put it into the world and see where it goes. It’s been amazing to me to see after years of crafting The Creator’s Code, and figuring the six skills, and everything else, how truly personal it is to me when I get e-mails, and when I have people come up to me, how wonderful it is that they say, “Oh, these six skills now have helped me in some way.” The feedback is also, to me, an absolute wonderful thing, to know that the ideas resonated and it made a difference in the world. That would be the reason to have spent the time, and the energy, and the effort to try to create something that would matter. Alison Jones: Fantastic. I always ask people who come on the show to recommend someone to me, so somebody who’s got something interesting to say about the business of business books or writing in general. I’d love to hear who would you recommend. Amy Wilkinson: I’m a big fan of Carol Dweck. She’s the growth-mindset professor out of Stanford. She’s got a wonderful set of research. She’s very research-based, and I cite her in my book. I think that the message that she’s putting across to the world is one that resonates certainly with entrepreneurial people. Also, there’s quite a lot on parenting. There’s quite a lot with how do you help raise up children who would be willing to grow, and continue to be learning, and not hindered by traditional views of failure, for example. I think that Carol Dweck is a wonderful person that’s got a very research-based data set. Amy Wilkinson: Yes, maybe it is. Her research is very interesting. Alison Jones: I think it’s so important for kids. Amy Wilkinson: Yes, I agree. Alison Jones: Yes, it’s fascinating. It’s one of those books when you read it, you go, “Of course! I’ve always known this, but I never knew how to articulate it,” so, yeah, it’s brilliant. Fantastic. Thank you so much, Amy. That was absolutely fascinating. Alison Jones: Good. If people want to find out more about you, and about The Creator’s Code, where should they go? Amy Wilkinson: The best way to find out more about the book and the research is on my website. It’s amywilkinson.com. You can sign up there for a monthly newsletter, and, also, my research team is putting out frameworks, and tips, and just different insights about how to be more productive in the new world of work. That is really a good place, not only to just learn about my background or the things that I’m doing in the world, but, also, to sign up on that newsletter and become part of the creators community, because we’re continuing to try to fuel people’s careers. That’s exactly where to go. Or you can follow me on Twitter @AmyWilkinson, but amywilkinson.com is the sign-up place. Alison Jones: Fantastic, and I shall put those links up on the show notes as well so people can go there. What a pleasure to talk to you, Amy. Thank you so much for your time today. Amy Wilkinson: Thank you very much. book, business, creator's code, entrepreneurship, research, writing. Bookmark.